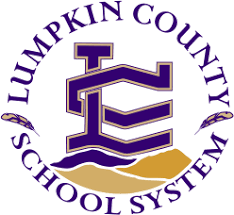 The Lumpkin County Board of Education discussed the current protocol for communicating with parents, and the possible changes that will be made to those methods, during the Board of Education meeting on Monday, October 8. LCSS Chief Operations Officer, Greg Trammell, explained their recent transition from PowerSchool to Infinite Campus and how this could impact their current robocall system, One Call Now. Trammell also explained that Infinite Campus comes equipped with Shoutpoint – a remote, dial-in program that commissions bulk-communication more accurately than One Call Now. Lumpkin County Superintendent, Dr. Robert Brown, stated that One Call Now had flaws that could potentially violate the system privacy codes and why the change is an upgrade for LCSS, “Anybody that ever lived at an address in PowerSchool, showed up in Infinite Campus as part of that household. For example, the home that I was renting at one period, everybody that showed up that ever lived in that house, was showing up in my family’s registry, which could be a serious FERPA [Family Educational Rights and Privacy Acts] violation.” Lumpkin County Elementary School is the first school to test the new system. Although public concern was raised over not being immediately informed of an alleged event substantial enough to warrant a police investigation, Brown remained solid in his assertion that parental disclosure was not necessary, to avoid “negative attention” for the accused student. Brown doubled down on his statement that Lumpkin County Sheriff Stacy Jarrard did not repeatedly advise him to do an all-call the night of the alleged threat. 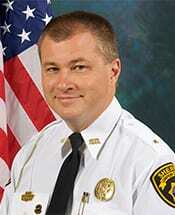 , “Contrary to some of the public opinion, the sheriff did not repeatedly tell us to call out,” Brown said. “I had one phone call from him, at 8:51 p.m. and he asked me were we going to put anything out. Jarrard has publicly stated that he did, in fact, suggest the robo call go out to concerned parents “three different times” but was turned down each time. Craig Poore, brought up an important issue – how would the parents and caregivers who are not on social media have received that information? Despite the confusion and misunderstanding from board member, Jim McClure, over the public uproar, it did not occur out of assumption that administrators did nothing to ensure the students were safe. Negative attention was directed at school officials, because they did not effectively inform parents – and would not have informed parents at all – had there been no mention of the alleged threat on social media later that night. One parent of an LCHS junior told Fetch Your News that they feel they “have the right to be informed” of any possible incident involving their children while in the care of LCSS, regardless of the outcome. Brown stated that there would be an upcoming Leadership meeting, and communication would be discussed in more detail. Hopefully, this has been a learning experience that will lead to proper and improved communication and stronger community trust, and will also help parents feel more at ease when we send our children to school. 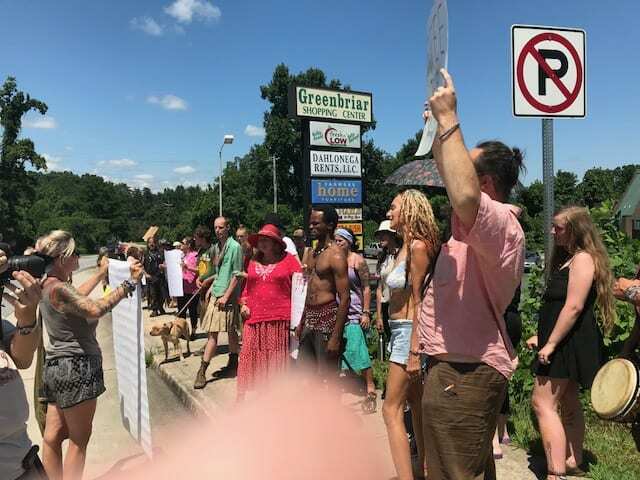 DAHLONEGA, Ga. – Thousands of “Rainbows” left Lumpkin County over the weekend but not before staging a protest against what they believe was harassment by federal, state and local law enforcement. Some 70-80 protesters who participated in the Family of Living Light gathering in the Chattahoochee National Forest lined the sidewalk across from the Lumpkin County Sheriff’s Office Sunday, singing songs and carrying protest signs demanding their fellow “Rainbows” be released from jail. 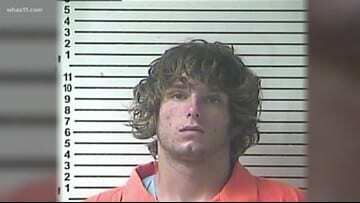 Lumpkin County Sheriff Stacy Jarrard said releasing those in jail is as simple as paying the bond. Steven Gilley, of Anniston Alabama, complained that he had been stopped multiple times by the authorities who searched his car for drugs. Gilley said he paid his fine last Monday and, as he was leaving court, he was ticketed for an expired tag and no insurance. The U.S. Forest Service estimates approximately 4,500 Rainbow Family members attended the gathering this year. 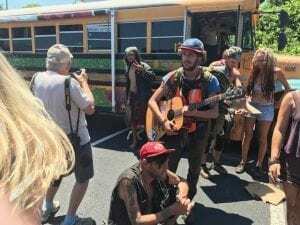 Spokeswoman Cathy Dowd told WSB TV that overall things went well this year, although 30 people were arrested and approximately 900 citations were issued during the event. The Rainbow Family began gathering in 1972. The movement is reminiscent of the counterculture, hippie movement sparked by protests of the Viet Nam war. It is billed as a peaceful gathering, but twice in the last three years, violence has ended in death to a participant. 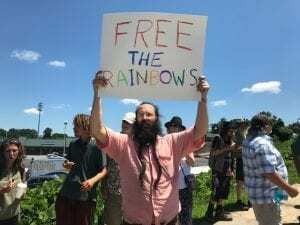 On Saturday, Elizabethtown (Kentucky) Police Department arrested Joseph Bryan Capstraw who admitted to murdering an unidentified woman after the two left the Rainbow Family gathering hitchhiking to Kentucky.